In a future Denmark, the King's clockmaker becomes enmeshed in a web of court intrigue and undertakes a fateful journey to the Far North, where he encounters many strange phenomena that challenge his rational nature. 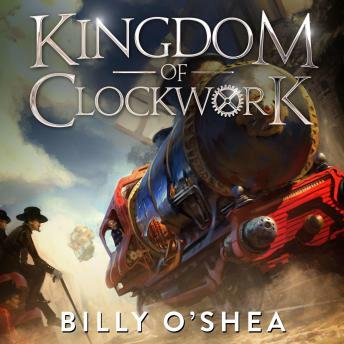 Kingdom of Clockwork is a science fiction/steampunk novel by Billy O'Shea. The story takes place in a quasi-medieval society that arises in Scandinavia after the new Dark Ages. Lacking fossil fuels and knowledge of past technology, the new kingdoms of the northern lands can only draw upon the power of the wind, which they store using clockwork. But the King of Kantarborg has a plan to mine other secrets of the past, and weaves a young court clockmaker into his dangerous schemes. Kingdom of Clockwork has been described as alternate history, historical fantasy and steampunk”. It is a quirky, intriguing, slightly whimsical tale of reason, magic and human cunning. The story combines real Scandinavian history and locations with flights of fancy, both literal and metaphorical.